Sign up to participate as a volunteer data analyst in the Leeds DataDive! We want you to volunteer your time, skills, and energy to help the participating social organisations. 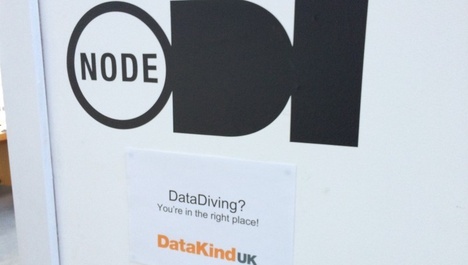 DataKind UK is partnering with the Young Foundation, Leeds City Council and the Joseph Rowntree Foundation to run our first DataDive outside of London! This DataDive is focusing on inequality in Leeds. Below is an outline of the schedule for the weekend, with specific details included for each day. Participants are encouraged to attend the whole event, but it isn’t required. We do suggest you attend the Friday evening or Saturday morning so you can be briefed on the projects at hand. DataDives are weekend events that bring the data science community together with the non-profit community to tackle tough data problems in a short period of time. We have selected three charity projects to work on over the weekend. You need to bring your own hardware and software, your data skills, and the belief that you can help change the world for better! Who are the social organisations involved? We will be working with Voluntary Action Leeds, Volition and Money Information Center. The evening will involve presentations from the invited social organisations followed immediately by a party to get everyone well mixed. This will give all of the participants a chance to meet each other and begin discussing projects with the organisation representatives and think about which project they want to spend the weeked working on. 10:00 AM: Brief review from Data Ambassadors, then data diving! Saturday we’ll get to the data! DataDivers will choose which organisation they’d like to work with and form teams around their individual project questions. Each organisation will have Data Ambassadors assigned to them who will help advise on and manage the projects throughout the day. We’ll have meals and keep the space open until 10:00PM for the late-night divers. 2:00 PM: Another successful DataDive in the books! This is your chance to show the charities what you have done with their data! There is no expectation of slides or other presentation materials, simply use whatever method of conveying your work to the organisations you feel is best. This is also the chance for the organisations to ask you questions about how and why you did what you did. These presentations can be single or group work, but they can be no longer than 10 minutes each. We want to give everyone a chance to speak, and get people out at a reasonable time. There is a Github repository setup to use for sharing code, data, and analyses during the event. The repository is located at: https://github.com/DataKind-UK. This will be our primary resource for capturing everything developed at the DataDive, so please use it for sharing and collaboration. We do not assign you to a charity. We want you to work with the organisation and data you feel most passionate about, so come Friday with an open mind and be ready to learn. You do not have to work with the same organisation for the whole weekend. Again, we hope that you will find a project to work on to completion, but if at any point you feel like you want to change simply let the Ambassador from those teams know. We do not provide any hardware or software for you to use. We’ll have the data and some services setup (wiki, DropBox, Github), but otherwise you should bring your own laptop and come ready to use whatever data tools you like.